Jeriel Thomas, Nevada’s fastest 400-meter runner, won his heat in 48.73 and finished second in the Sunset Region preliminary race on Saturday. 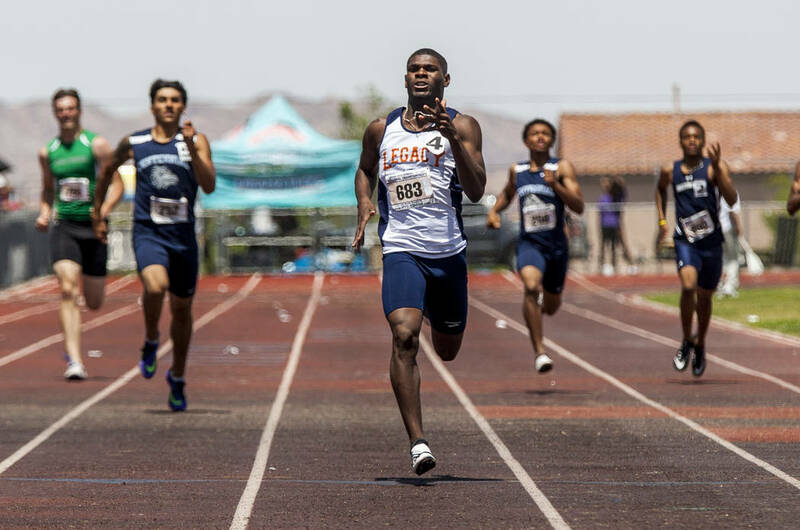 Legacy senior sprinter Jeriel Thomas tweaked his left hamstring at the Class 4A state meet last season, and has since spent the last year training and treating the injury. Thomas, Nevada’s fastest 400-meter runner, won his heat in 48.73 and finished second in the Sunset Region preliminary race on Saturday. 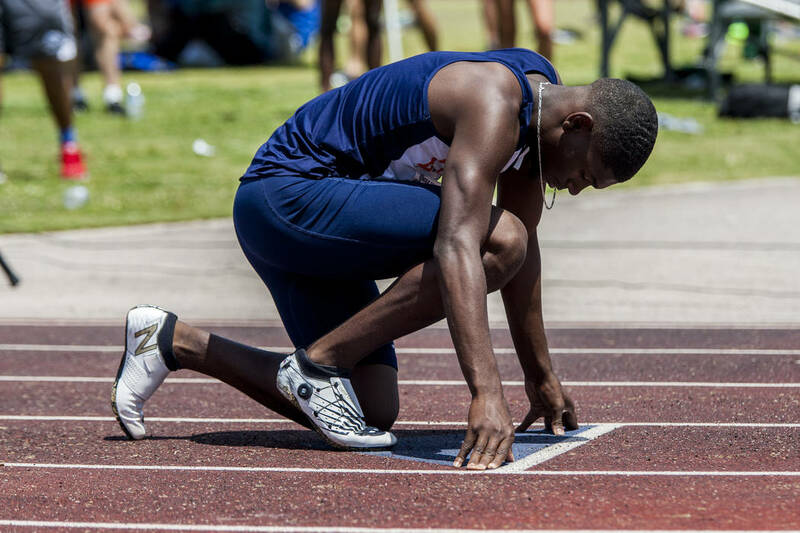 Centennial’s Tre Harley, who beat Thomas at state last season, posted the fastest time at 48.66 seconds. Thomas sustained the initial injury during his junior football season, and worked to return to the track in 2017. The hamstring nagged, though, and he struggled to a third-place finish at the Class 4A state meet despite logging one of his fastest times of the season. He didn’t play football this past season, worked diligently with team trainers and strength coaches and rebuilt his speed with an eye on that elusive state championship. He credited performance to a tedious training routine. Thomas built a lead during the first 200 meters on Saturday before easing up down the stretch to preserve some stamina. He still won his heat by several meters, but was a couple seconds off of his goal of sub-47. Bishop Gorman’s Kylen Ulrey won the shot put with a throw of 48 feet, 11½ inches to clinch a trip to the Class 4A state meet. Cam Hunterton, also of the Gaels, won the triple jump with a mark of 42-8½. Faith Lutheran’s Jack Gordon cleared 14 feet to win the region championship in the pole vault. Palo Verde’s Ben Slighting completed the 3,200-meter run in 9:05.57 to win the region championship. Valley’s Christian Franklin won the 1,600-meter run in 4:36.02. Palo Verde’s Jacquelyn Fields cleared 5-4 in the high jump to win the event and earn a berth in the Class 4A state meet. Centennial’s Alexis Gourrier won the region championship in the 3,200-meter run, finishing in 11:36.28. Gorman’s Jill McPherson won the region championship in the discus with a throw of 117-1. Gwenavere Bobowicz, also of the Gaels, won the region championship in the long jump with a distance of 17-8½ inches. Hannah Esparza had the fastest time in the preliminaries of the 400 for Arbor View in 57.69 seconds.